Stage 1. Stems are cut in the autumn and stripped of their bark and dried. 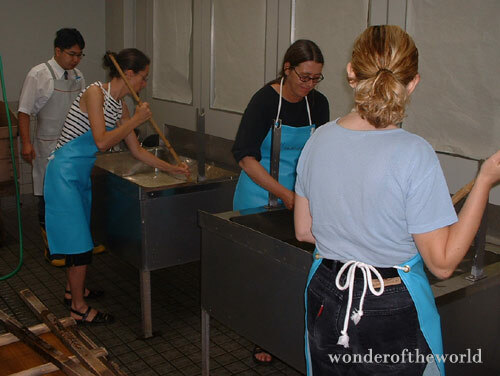 The fibers used in washi paper are. Kozo (paper mulberry) is a shrub of the Moraceae family which thick fibers made a strong paper. It is widely used in the production refinded papers, craft papers, calligraphy papers, and paper for screens. Mitsumata is a member of the Thymelaeaceae family and it produces a smooth, lustrous paper, which is used as sliding screens and printing papers. Gampi is a fiber it yields is very fine fibers and it produces a thin paper with a lustrous finish. Stage 2. 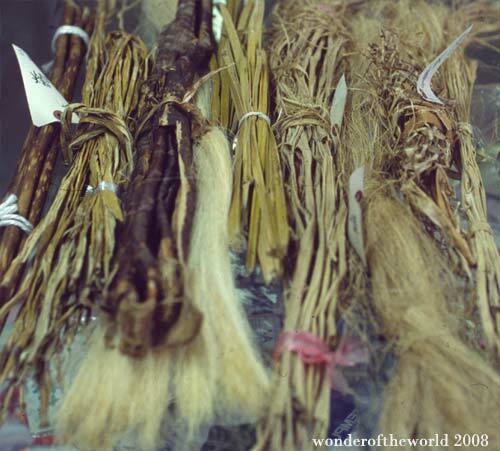 The dried bark is placed in a tank of running water or in a shallow part of a river for one to five days to wash out impurities in the bark. 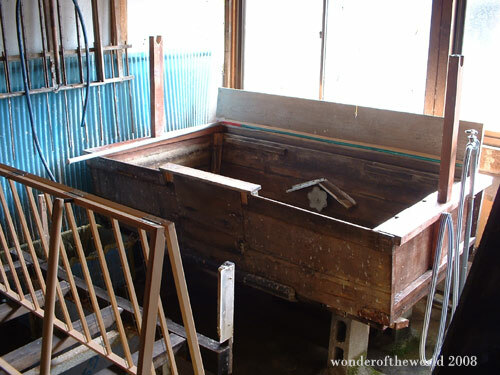 The bark is then cooked In order to soften the washed bar and boiled for several hours in an alkali solution containing soda ash. This process isolates the fiber of the bark. Stage 3. After the fibers are cleaned by hand to remove any unwanted bodies such as buds, knots or lumps or dirt, it is then beaten to separate the fiber into finer strands. Neri is a paste from the Tororo-aoi root which is a family of the hibiscus plant. 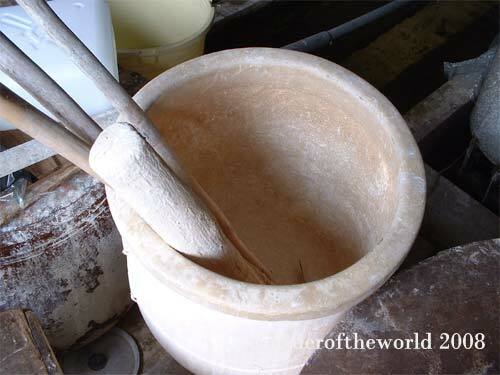 The liquid is used to dispense the Kozo fibers when agitated with water. Stage 4. 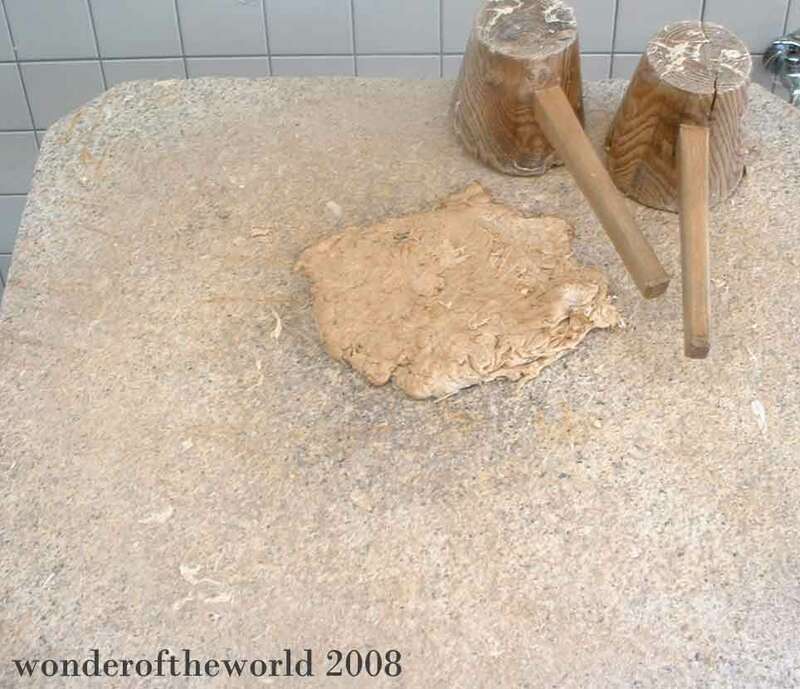 This is an important stage of the production of a Japanese handmade paper as it requires the most skill. The finely separated fibers are dissolved in water and a forming aid is added called tororo-aoi. 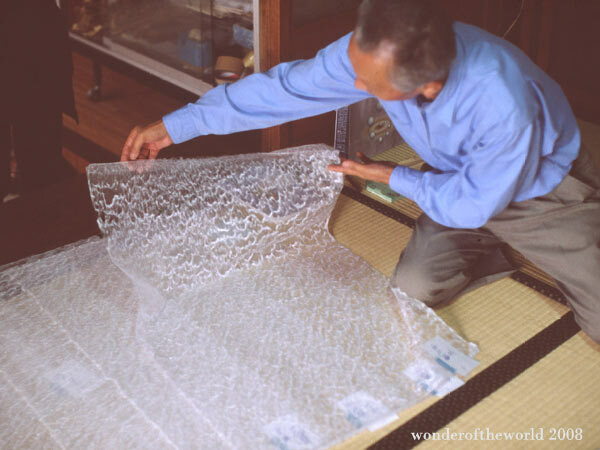 The art of washi making comes from the method which the artisan moves the mold in the solution of kozo. 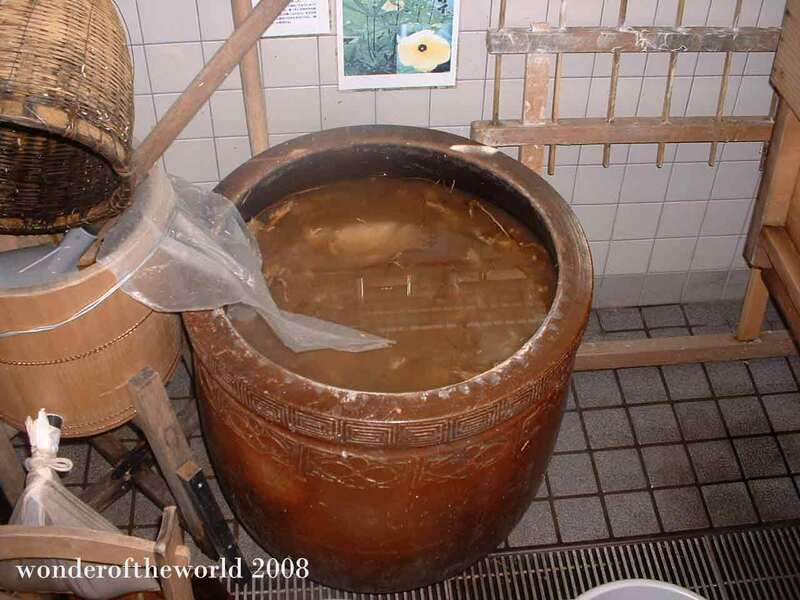 Agitating the Kozo in large vats. The Mino Washi Museum, Gifu prefecture, Japan. The Sugeta is a bamboo screen woven together by silk thread. The bamboo ribs are made by using black bamboo. 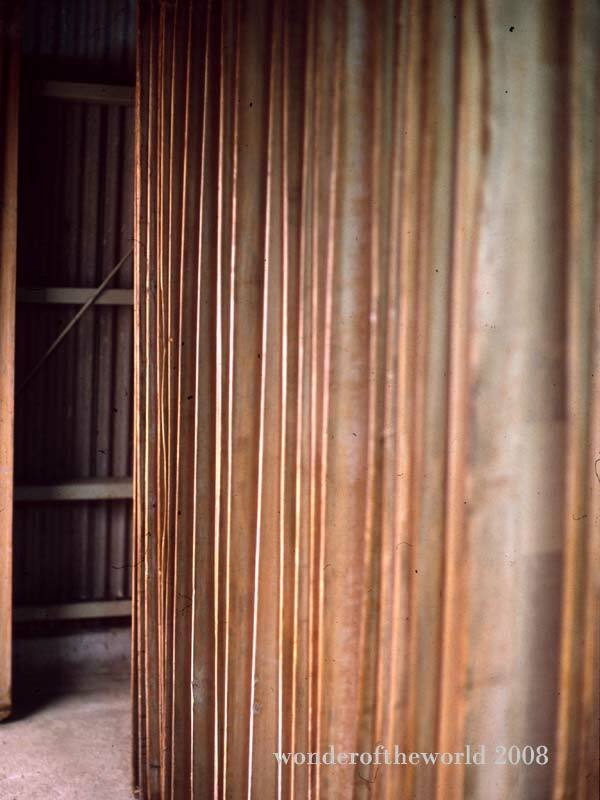 To weave a screen 2ftx3ft 2000 ribs are necessary. According to the type of washi, a rib is .5m in size. 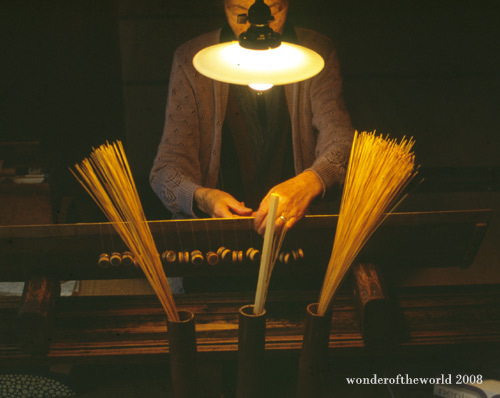 It should be noted that there was much concern over the fact this type of cottage industry are slowing dying, so may the skills of artisans who make these washi tools.